When people think of Canberra's iconic buildings, images of Parliament House, the Carillion and the War Memorial come readily to mind. However, one lesser Canberra building that also deserves the status "iconic" is the circular concrete ACTION "bunker shelters". First used by ACTION in 1975, there were 477 in service by November 1993. There are many still in use around Canberra today. An ACTION "bunker shelter" on Clift Crescent, Richardson in January 2015. 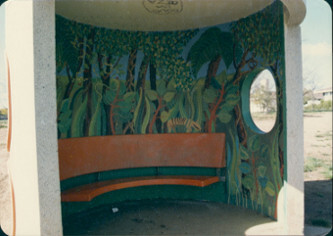 In 1982, ACTION driver Brian Cousins came up with idea of transforming the drab concrete bunkers into colourful works of art. 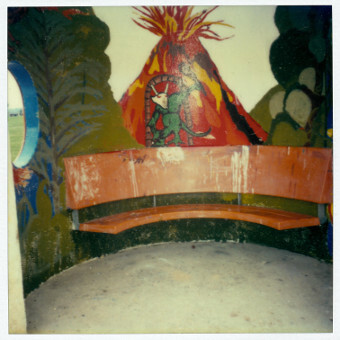 He believed that "bus shelters with pictures would be pleasing to the eye." ACTION senior management, also seeing it as a way to reduce graffiti vandalism, agreed to the concept. 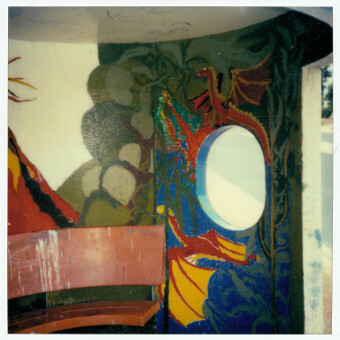 In 1983, ACTION gave permission for students from both Canberra High School and Lyneham High School to decorate bus shelters near their schools. 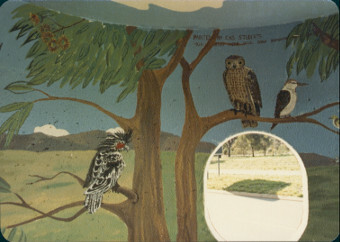 While there are still two bunker shelters outside Canberra High School, their murals have long since gone. The bunker shelters themselves around Lyneham High no longer exist. ArchivesACT does hold a photographic record of these 1983 murals but no information on the mural titles or locations remains. 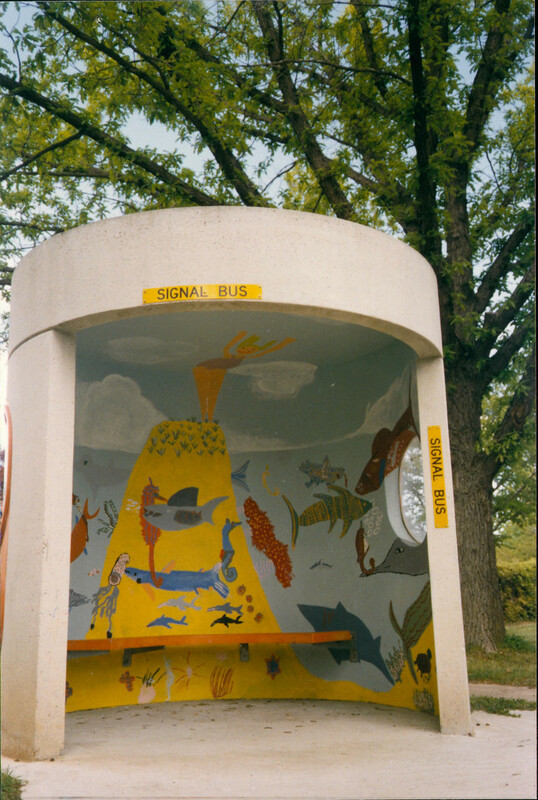 In 1987, ACTION expanded the bus shelter painting into an annual competition for schools and community groups. During the 1987 launch, Member for Canberra Ros Kelly said, "It was an innovative way to promote civic pride among students and members of the community." 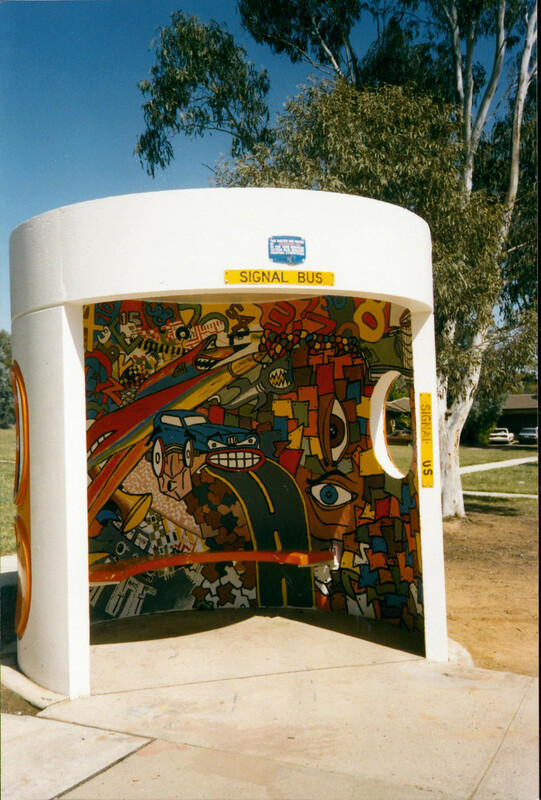 In addition to reducing graffiti and vandalism to the shelters, ACTION hoped to enhance Canberra through community art. The competition was seen as a way of raising "the level of appreciation and responsibility for public facilities in the community." ACTION hoped that in time "Canberra's painted bus shelters could develop into a unique tourist attraction." Many of the murals were certainly worthy of such high hopes. Montone Paint and Wallpaper provided sponsorship by supplying free paint and equipment as well as a $1000 prize for the best overall mural. By 1992, ACTION was also offering $300 worth of bus hire to the overall winner as well as to the winners in each of the competition categories - Primary Schools, Secondary Schools and Community Groups. Participating groups were required to submit a design proposal to ACTION for their intended mural. If accepted, ACTION then allocated the group a bus shelter and a letter of authority to collect their painting materials. and where to place your signature on your finished mural. But a particular "don't" was that the design should not contain any depictions of life-size human figures. This was to prevent drivers mistaking the paintings for waiting passengers, thus creating unnecessary delays. 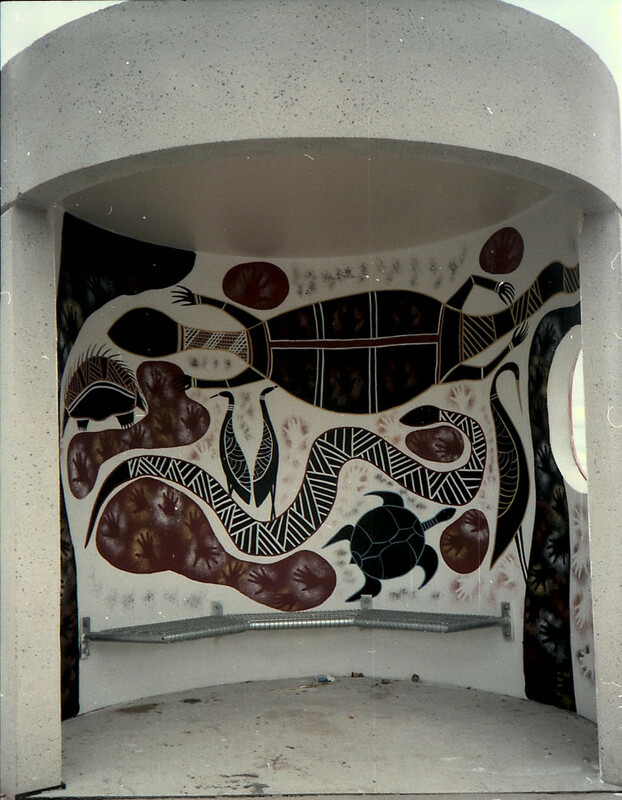 In 1992 , Ken Thornton and Barbara Brinton from the National Gallery of Australia (NGA) ran special Mural Painting Workshops to assist the entrants. The workshops covered all aspects of painting a mural from planning and preparing the site, to photographing the finished mural. Ken and Barbara were also the judges for the 1992 Competition. 'Serpents' by Gilmore Primary (1992 Overall Winner) - Heagney Crescent, Gilmore. 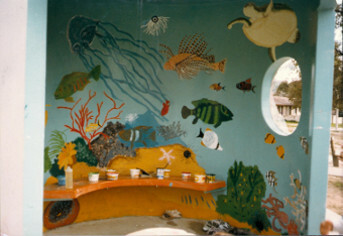 'Under the Sea' by Turner Primary (1992 Winner Primary Schools) - Condamine Street, Turner. 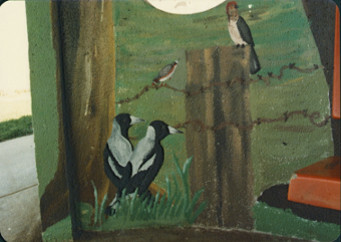 'Untitled' by Hawker College (1992 Winner Secondary Schools) - Murranji Street, Hawker. 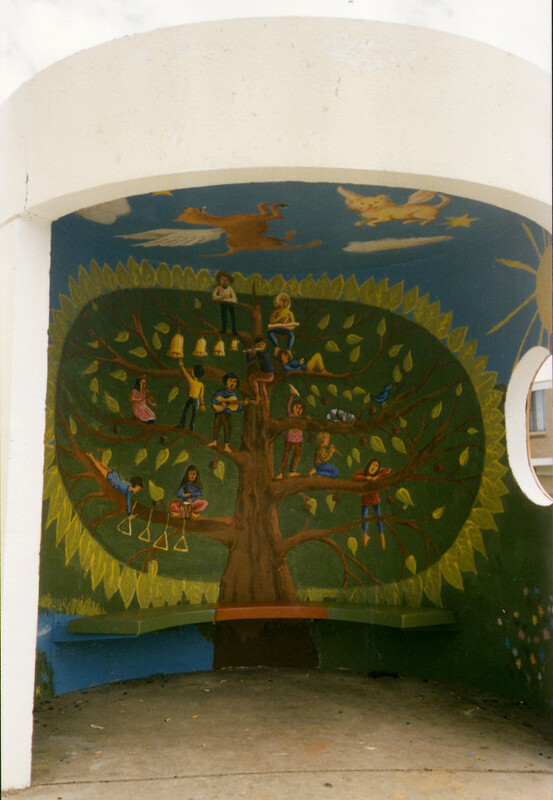 'Tree of Life' by Gaudeamus (1992 Winner Community Group Section) - Melrose Drive, Lyons.